Amazon has just announced its new Fire TV stick, the new HDMI streaming device will go head to head with Google’s Chromecast. Amazon claims the new Fire TV Stick gives an identical experience to using its Media Streaming device the Amazon Fire TV (which is almost $60 more expensive), you can play games with it, stream your favorite movies, tv shows and access the Amazon app store to download third party apps and games on the device. Amazon is marketing the device directly against chromecast (similar to how it does with its Fire HD Tablets and Apple’s iPads) and for good reason. It is important to mention that both devices retail for almost the same price, the new Fire TV Stick is just $39 while the Google Chromecast is currently $35. The mayor advantage of the new Fire TV Stick is the fact that it has 8Gb of internal storage, you get a remote when purchasing the device (so you aren’t stuck controlling the interface with your phone) and allows you to get the same experience as with the Fire TV but for $60 less. As far as supported apps go, both devices have similar ones like Hulu, Netflix, Twitch etc. (full list of Chromecast apps). 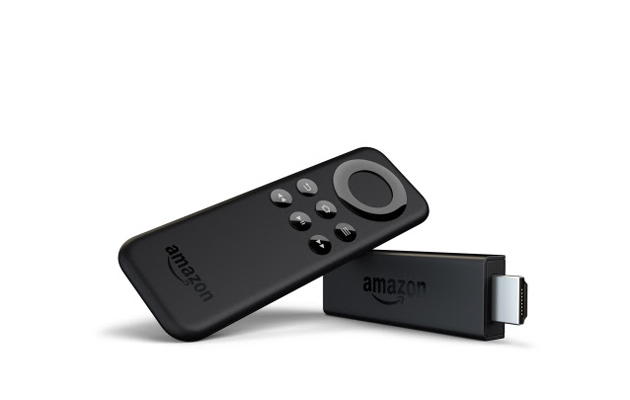 It is important to note that the remote included isn’t the same one as the Fire TV does (which has voice search) this one can be purchased separately for $29. The device will become available November 19th but is currently already available for Pre-order.